We offer a vast range of electrical power and industrial cables including specialist cables for use with solar PV, trace heating, and security and alarm systems, working with leading brands such as Prysmian, Lapp and Belden to ensure we have the right cable for any application. What is electrical power cable? Electrical power cables are used for the transmission of electrical power and comprise three major components: one or more stranded or solid copper or aluminium conductors, the insulation and the outer sheath which holds everything together. Theyre available in many different shapes, sizes and materials, varying according to the installation theyre required for. How to choose the right type cable? Working environment - this will determine the material of the outer sheath and insulation and consideration must be given to the conditions the cable will be used in. American Wire Gauge (AWG) is a widely recognised measure of the cross-sectional area of a cable and denoted as a simple number for example 20 AWG. Cross-Sectional Area (CSA) is the surface area of a conductor in mm2. Both units of measure are can be used to describe the wire thickness and it is useful to remember that as the AWG increases, the wire becomes thinner and the CSA decreases. What are the different types of power cable? Mains power cable - ideal for applications such as the wiring of household appliances and tools. Theyre available with either a PVC, Rubber or CPE outer sheath with between 1 to 5 stranded or solid copper cores. 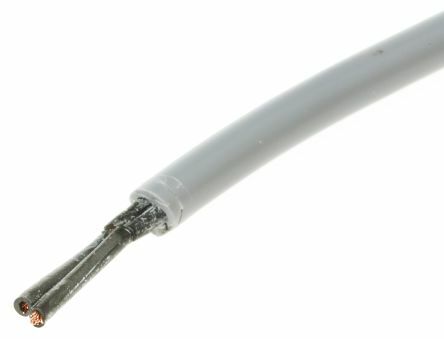 SWA cable - have a galvanised steel wire insulation surrounding the cores and braiding for added protection and strength. Theyre generally used for underground cabling and are suitable for indoor or outdoor installations. Sheath material is either PVC or LSZH (Low Smoke Zero Halogen). 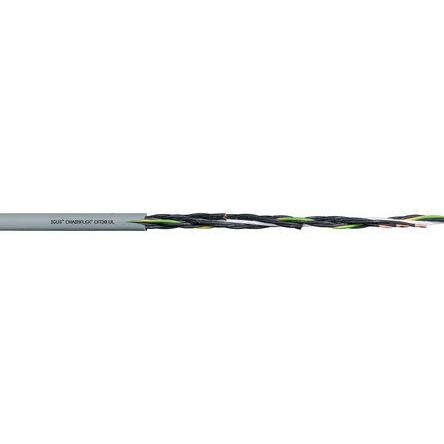 Conduit cable - act as a current transmitter within a structure and are housed inside a conduit enclosure. This cable is installed as a safety measure in hazardous environments where fire, smoke, chemical or gas may damage equipment or machinery. Multicore cable - available with 2 to 20+ cores. The screening or braiding can help to reduce external interference and maintain a high-quality signal.